When you need DWV fittings (also referred to as X-PVC) at a price you can afford, PlumbersStock should be your first stop. 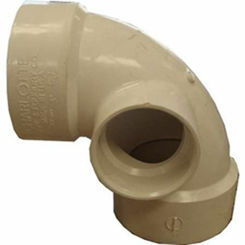 We have a huge selection of fittings for all types of applications, and that includes drain, waste, and vent fittings. Fittings are necessary for a properly functioning waste removal plumbing system. 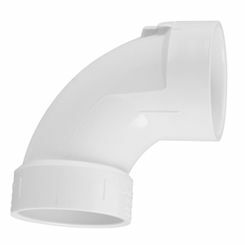 The filters on the left of the page can help you to find the specific type you need or browse around for other types of PVC fittings. 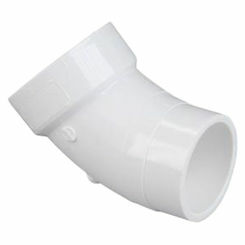 You can also shop for PVC glue and primer to connect your pipe and fittings. 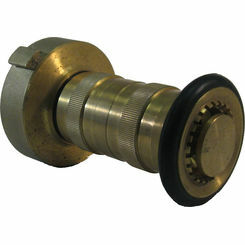 What Is a DWV Fitting? DWV is not a type of material. 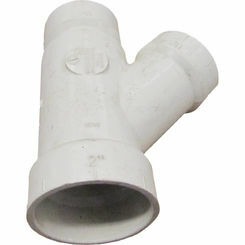 These fittings are usually made of a PVC or ABS plastic (often called X-PVC Fittings). The typified by their application: drain, waste, and vent, hence the DWV. For clarity on the subject, remember that DWV and X-PVC refer to the same fittings and applications. 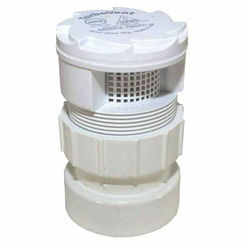 Drain, Waste, Vent is used in homes and buildings to remove grey water and sewage. Air pressure is also regulated in these systems as well since gravity is needed for proper drainage of the solids and liquids associated with sewage. 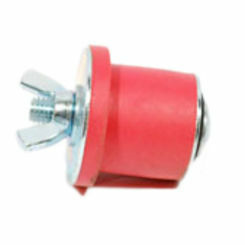 Counter Sunk Plug fittings are used to “plug” up the end which is most commonly used as a clean-out (refer below for an explanation of Clean-Outs). 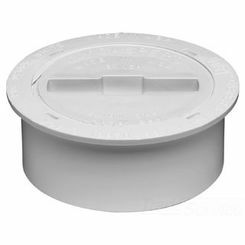 The plug is threaded and screws (sinks) into the pipe creating a watertight seal without the use of adhesives, for easy access. 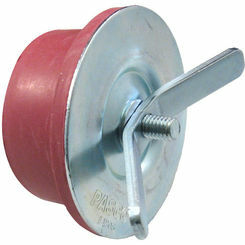 In order to properly install and secure a toilet to the floor, a Closet Flange is needed. 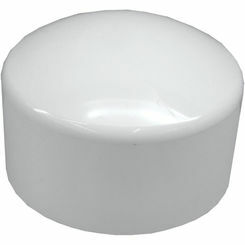 The flange is designed to fit flush with the floor, allowing a standard toilet to sit and install properly and securely. When you need to create branch lines, a Wye fitting is used. A Wye fitting is usually in the shape of a “Y” and allows pipes to be joined at a 45-degree angle. The opening sizes on a Wye fitting can vary depending on the situation. Tee fittings are used to bring multiple lines into one. There are different types of tees for different purposes. A Street Tee is used to connect a pipe into the main drain. 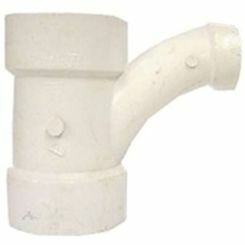 On one end, Street Tees have a connection where the pipe connects into the tee and another where the Tee connects into another fitting. Also necessary are Sanitary Tees,which have a curved center section. This allows you to connect horizontal drains to vertical drains. 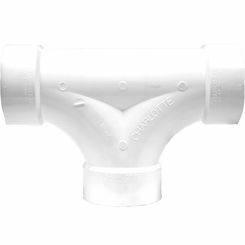 Double Sanitary Tees (Sanitary Cross) has two curved inlets in the center. It is important to note that building codes are essential and using some of these Tee fittings improperly can go against the codes for your area. You should become familiar with what is allowed and what is not, as far as building codes go. 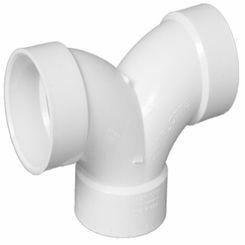 Clean-outs are fittings that have a removable part to allow access to the drains without having to remove plumbing fixtures. These DWV pipe fittings are key because they allow for an Auger (Plumber’s Snake) to be used to clean out a plugged drain. A helpful tip is to install the clean-outs in areas that can be accessed for easy maintenance and cleaning. 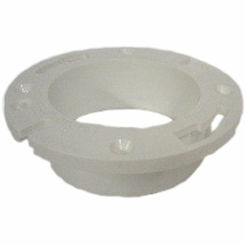 Counter Sunk Plug fittings are used in association with the Clean-outs, for easy access. 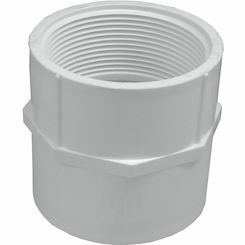 Adapter fittings are used to connect another fitting to a pipe. 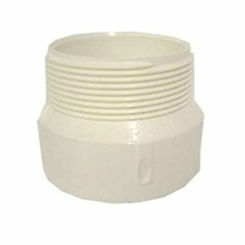 The Adapter fittings are available in both male and female threading. 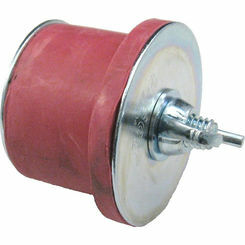 The P Trap fitting is vital in DWV applications. The trap holds a small amount of water in the “U” shaped part of the DWV pipe fitting, which creates a seal (trap) that prevents sewer gas from returning into the house or building. 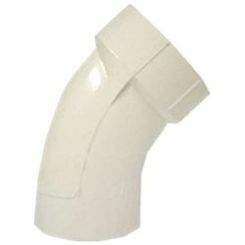 Elbow fittings allow you to change the direction of the piping. They are most commonly found in 45 and 90-degree angles but can come in other shapes, including 22.5-degree angles. 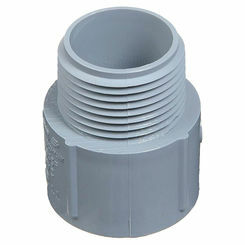 The Coupling fitting allows you to connect two pipes together. 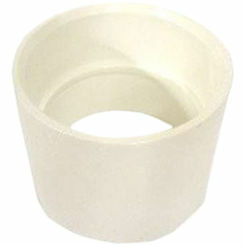 Bushings allow you to slip the fitting into the pipe creating a threaded opening for another fitting to be used. 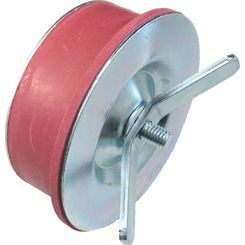 Caps are used to “cap” a pipe such as a Clean-out or another pipe that is not in use. An increaser may be used to go from one pipe diameter to a larger one. 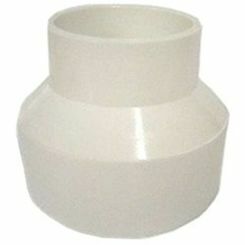 It is important to note that to guarantee a strong leak-proof connection, solvent cement is necessary for joining either PVC or ABS DWV fittings. 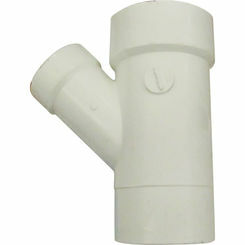 If using PVC fittings, you will also need to use a primer before using the solvent cement. The primer takes off the glazed coating on the pipe or fitting allowing the solvent to weld or melt the plastic together creating a strong bond. If a primer is not used, the adhesive will crack and break over time. No one wants their waste/sewer pipes bursting in their house, so it is necessary to take every step in assuring a strong bond. With ABS fittings, a primer is not necessary, and all that is needed is the solvent cement. Here at PlumbersStock, we are dedicated to both contractors and do-it-yourselfers. We want you to find every DWV pipe fitting you need to complete your project. With our wholesale prices that cannot be beaten and our professional staff, there is no better place to get your plumbing needs. If you have any questions about shipping rules or finding the right DWV fitting for the job, please contact us, and we will answer all of your questions!